With high profile clients, including McDonalds, UFC and Shimano, 8×8 is able to offer VoIP based services to industries of all backgrounds, adaptable to their own needs. 8X8 can also set up virtual call centers to align businesses that work across multiple sites but want to present on unified environment to its customers. 8×8 specializes in modern cloud-based phone solutions, so won’t suit those businesses looking for in-house traditional telephone systems. However, for those looking to upgrade an older system, it can work with your existing phone handsets and replace on-site hosting. It is highly scalable and can meet the demands on a company of any size. 8×8’s pricing structure is based on the number of employees but can easily be adapted should the business requirements change. The X2 package costs $25/user/month, the X5 costs $35/user/month, and the X8 costs $55/user/month — these prices are just a hair over the industry average for the features, support, and calling zone countries they include. As well as offering VoIP telephone systems, 8×8 can also assist with setting up virtual call centers to consolidate all of your employees across multiple sites, and can even accommodate home-based agents. 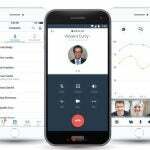 Top features: 8×8 offers features far beyond the basic ability to make and receive calls across the globe. 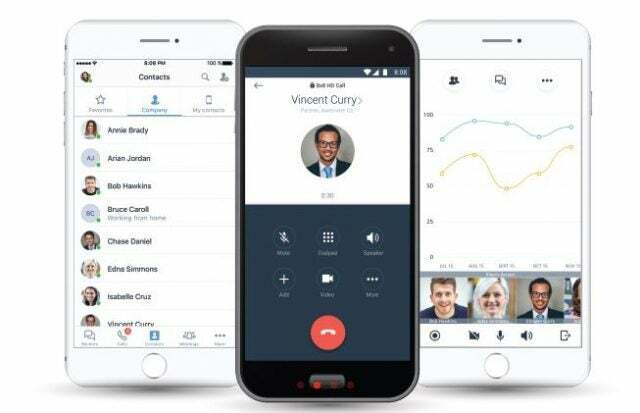 Standout features include ring groups, mobile and desktop apps, a voicemail-to-email function, team messaging and file-sharing, a virtual receptionist called Auto Attendant, a number porting ability to let you keep your old phone numbers when moving to a new system, directory assistance, and extension dialing. Integrations: Its solutions can be fully integrated with essential business systems including: SalesForce, Zendesk, Netsuite, Outlook, G Suite, Microsoft Dynamics, Skype for Business and Slack. Reliability: When it comes to your business’s phones, having a system you can depend on is key. 8×8 offers a higher uptime than any other major phone system provider, which means that your calls can be made and received successfully as often as possible, allowing your operation’s phone lines to run at maximum efficiency. Size is essential for reliability, and 8×8 has data centers around the globe. Ease of Use: 8×8 offers a service that’s relatively easy to set up and doesn’t come with a steep learning curve. 24/7 online training and a 8×8 Support Knowledge Base is available for anyone with an internet connection. 8×8 also offers a certification system for managers. Read our full 8×8 review below for more details about this VoIP telephone service. 8×8’s main offering is Virtual Office, the company’s cloud-based system that offers a complete business phone service. It comes in three different plan types to suit the needs of your business. Smaller businesses will probably want to opt for the X2 suite, although to refer to it as basic would be a misnomer. With this package you get mobile and desktop apps to help manage and oversee your phone system, as well as accompanying analytical software. Call queuing and auto attendant are included at this price level, so you won’t have to worry about dropping any calls if an agent isn’t immediately available. The package also includes unlimited calls to 14 countries, including major territories in the Americas and Europe, meaning your business can be truly global. 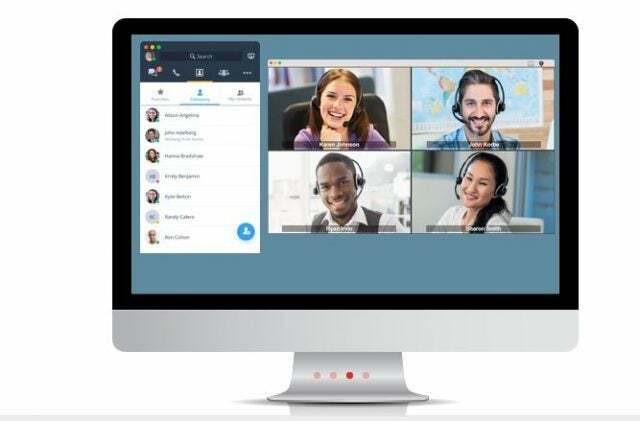 You’ll get an instant messaging and team messaging functionalities, voicemail, single sign-on, and the ability to host audio & video conference calls for up to 100 participants. 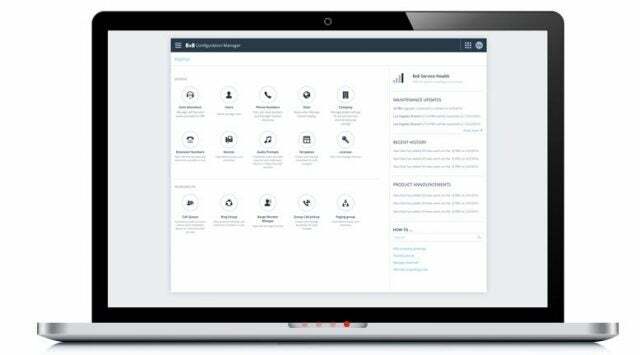 CRM integrations include Salesforce, Zendesk and Netsuite CRM. The next suite, X5, offers all of the above as well as a handful of extra features. The biggest benefit to this tier is an expansion of the number of countries that can be contacted free of charge. You’ll be able to call 32 countries, up from 14, which adds in key locations in Asia, as well as more in Europe. The X8 package is for those businesses that are looking for a virtual phone system that offers complete control and reporting. It includes all the features of the X5 suite, but adds a much more complete analytical package, so businesses can really drill down into the minutiae of their Virtual Office set up. In the X8 feature set, 46 counties can be called toll free. 8×8 can consolidate your staff across a multitude of locations into one virtual contact center, giving customers a seamless experience. The Contact Centre package comes in three types. Standard covers voice only, but includes CRM integration, both native and third party, as well as queued callback and web callback systems. Customer experience analytics come as standard, and a post-call survey helps you and your employees hone their service. Historic and real time reports are also available, and an internal chat function for agents and supervisors aids business communication. The Pro level package includes voice, but also email and chat systems for customers. The IVR solution is also enhanced, and capable of more technical requests than that of the Standard suite. Ultimate comes with everything as above, as well as quality management tools to monitor staff and maximize agent efficiency. You’ll also get wallboards that can display up to the minute reports clearly and efficiently to keep on top of call volumes minute by minute, second by second. This handset is available as a bundle can offers both the cordless handset and the wall-mountable DECT base unit, which supports 4 DECT handsets at a time with coverage of up to 200 feet indoors. You can add repeaters to the base to double that range, however. The handset comes with a 1.8-inch color LCD and supports HD wideband audio. When fully charged, the battery-operated handset will work for between five and ten hours of talk time or as much as 100 hours of standby time. The bundle is $109.99, with additional handsets costing $60.99 each. 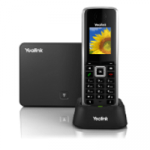 This one is also available as a cordless handset and wall-mounted base unit bundle. 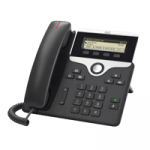 It supports up to 8 handsets to a base, with non-blocking abilities that allow 8 simultaneous phone calls, making it a great choice for a small or mid-size business. Noise reduction technology is included in the phones. The range is up to 200 feet indoors, with a repeater available to that can double the range. 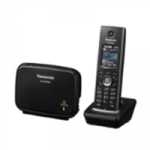 Panasonic’s KX-TPA65 wireless desk phone can also be connected to the same base, allowing for a little bit of hardware adaptability. The bundle costs $161.99, with additional handsets priced at $87.99 and desk phones priced at $121.99. These corded, entry-level IP business phones are durable, standardized options for front line staff at small or mid-size businesses. Each one comes with six line key buttons, letting users manage two live calls at a time while keeping four buttons available for speed-dialing common numbers. 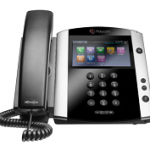 They use Polycom HD Voice technology to make sure audio comes through as clear as possible. 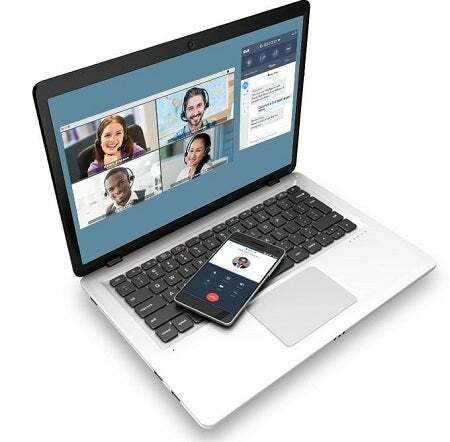 The 301 model costs $136.99 and supports expansion modules, while the 311 model costs $157.99 and has a Gigabit Ethernet bridge to directly connect a laptop or phone. I don’t throw around phrases like “top-of-the-line” and “flagship” for just any desk phone, but if I did, it would be for the Polycom VVX 601 IP. It has a color touchscreen, 16 line keys, Bluetooth support, video abilities, HD Voice, and a Gigabit Ethernet bridge. It all adds up to a desk option that’s easy to operate, easy to hear through, and powerful enough for high-volume, multi-call environments. But it comes at a top-of-the-line price: It’ll cost you $337.99, though that price tag also includes an AC adapter. This desktop IP phone comes with a simple and understandable 3.28-inch grayscale interface, wideband audio, and a built-in speaker. 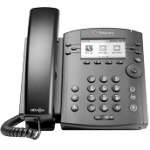 It supports an Ethernet connection, making it easy to connect to 8×8’s VoIP software. It’s great for working in lobbies, and is an inexpensive example of an IP phone at just $88.99, which includes an AC adapter. 8×8 has no shortage of customer testimonials available, a sign that they’re making all the right moves for their clients, who in turn can make all the right ones for theirs. One such client is a McDonald’s franchisee with 20 restaurants, looking for a fully hosted solution with reasonable monthly costs and reliable systems. After switching from its previous supplier to an 8×8 phone system, the franchisee reported a 35% lower bill and downtime has been drastically reduced. 8×8 packages give users access to comprehensive and thorough training tools, including 24/7 online training that can be completed at the employees own pace, with topics that cover everything a new member of staff would need to know. This is coupled with virtual, trainer led courses at convenient dates for your business, in various time zones, which offer blended learning bonus modules for new systems administrators. There is also an 8×8 certification system which will contribute to your system administrator knowledge. While 8×8 is certainly a leading phone system provider, every provider has its drawbacks. Here’s a quick look at the top issues and complaints that 8×8 clients have lodged against the company in the past. Price — While not unreasonable, 8×8 can cost slightly more than the average of about $20 per user. Per-number port fees — 8×8’s fees for porting phone numbers are also above the norm, which can add up to a big one-time fee across hundreds of numbers. 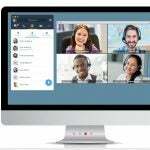 Dependent on internet connection — Any VoIP system is only as good as your internet connection: If you’re constantly losing internet or seeing lag, you’ll face dropped calls and shaky service. Still, calls can redirect to mobile numbers during outages. 8×8 is a great service and can more than do the job for managing incoming and outgoing calls for your business. A well established business, with a wide range of clients, 8×8 is a safe pair of hands for your business telephone needs. It may not offer in-house solutions, but the virtual systems it can kit out your business with are comprehensive with a large selection of tools and features. As explained in this 8×8 review, packages on offer from 8×8 mean that it can scale with you as your business grows, helping you offer your customers a seamless experience, whether you’re picking up the phone to 10 people or 10,000.
with our free price comparison tool.